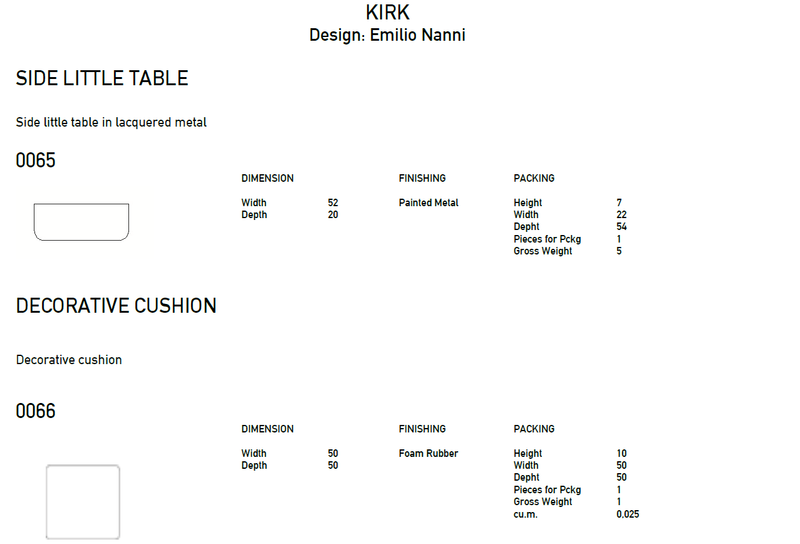 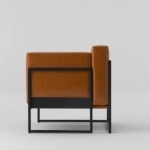 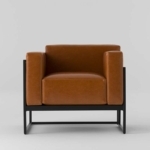 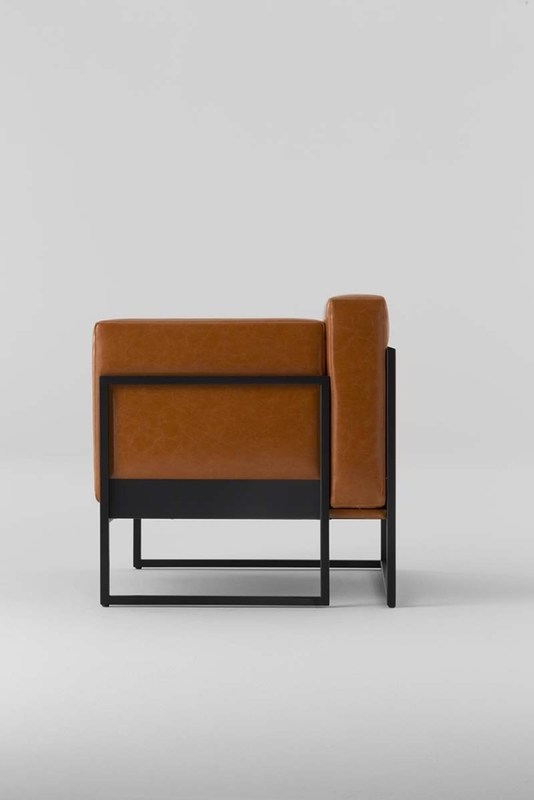 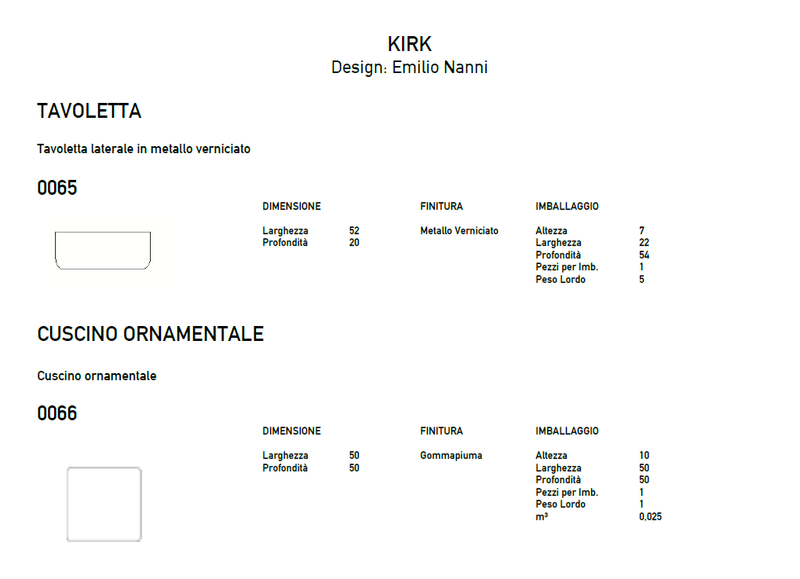 Kirk is a set of armchairs and sofas conceived as a game of building blocks, in which the container and the contents play an interlocking game based on minimal asymmetries, unexpected passages, and subtle compositions. 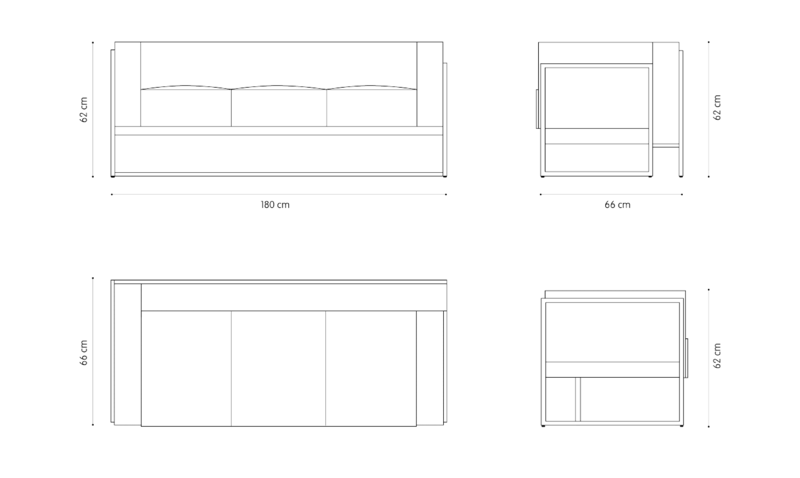 The Kirk Sofa fits perfectly in all spaces that set out to endow the living area with sophistication and originality. 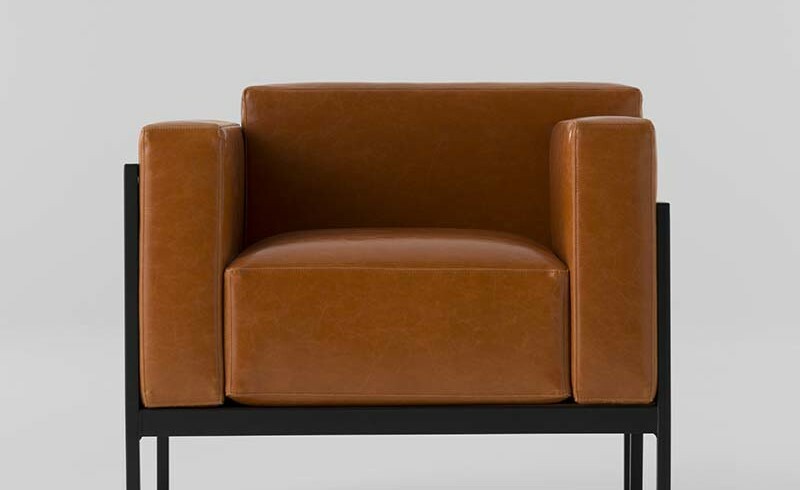 It redefines the concept of soft seating with an apparently simple solution that is brimming with intriguing surprises: the asymmetrical backrest and armrests are interchangeable, creating new interlocking combinations, without however sacrificing comfort and softness, which are provided by padded seats upholstered in tone-on-tone velvet. 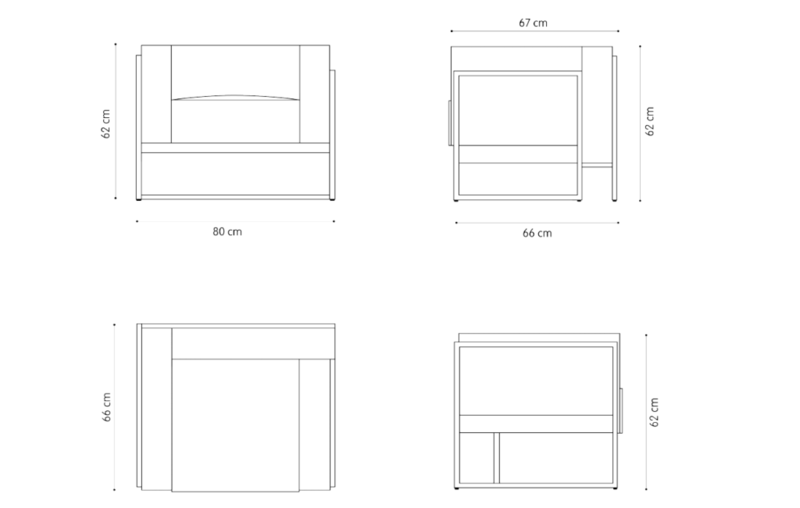 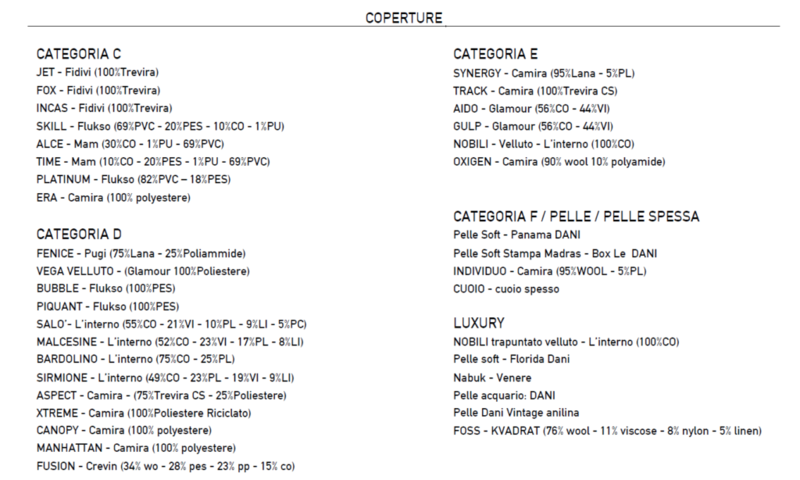 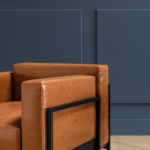 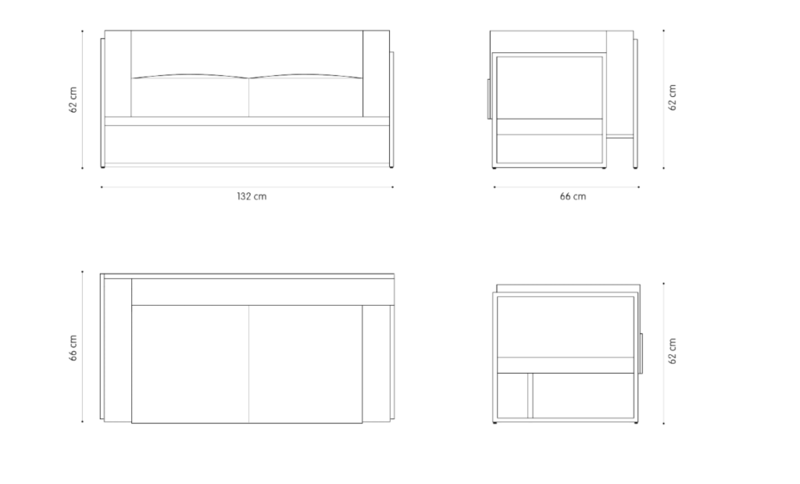 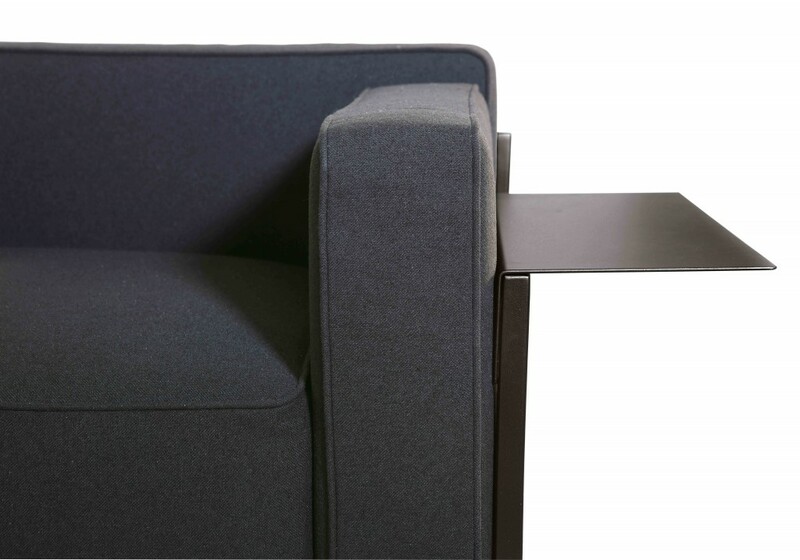 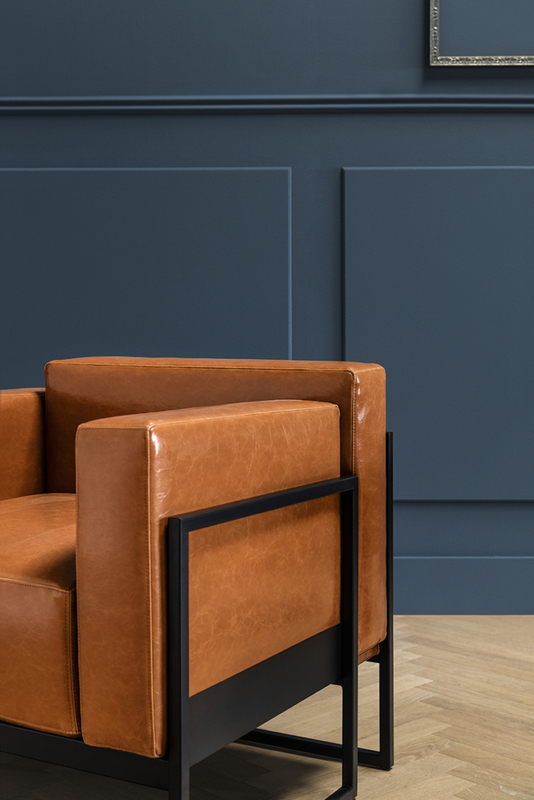 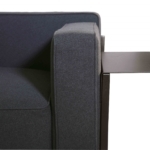 The composition options are expanded, by the addition of a built-in shelf on either the right or left hand side of both the sofa and the armchair . 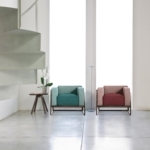 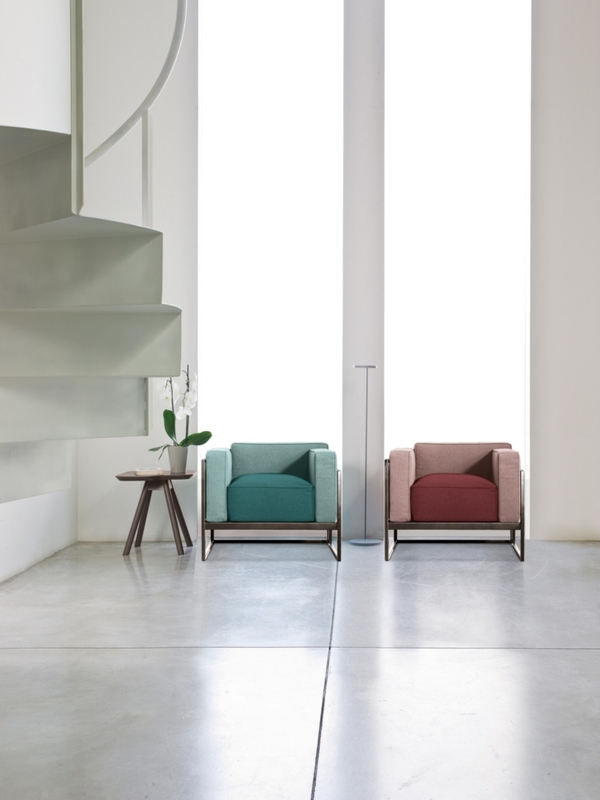 The container structure of the chair and the sofa is in metal painted in the colors more and a matching nylon folder with cushions. The Kirk set is ideal for a quiet chat in pleasantly relaxing living areas, both at home and in hotel and resort lobbies. 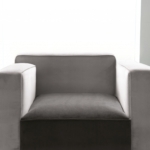 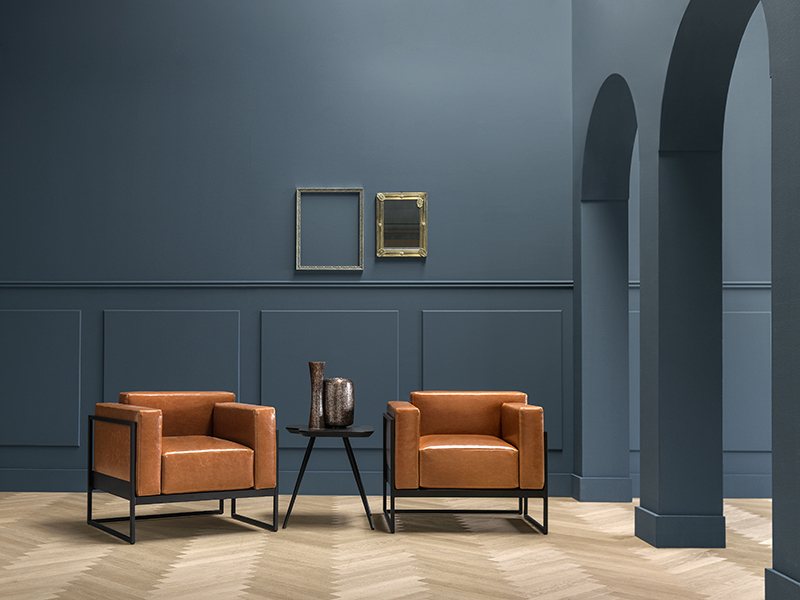 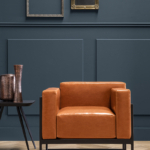 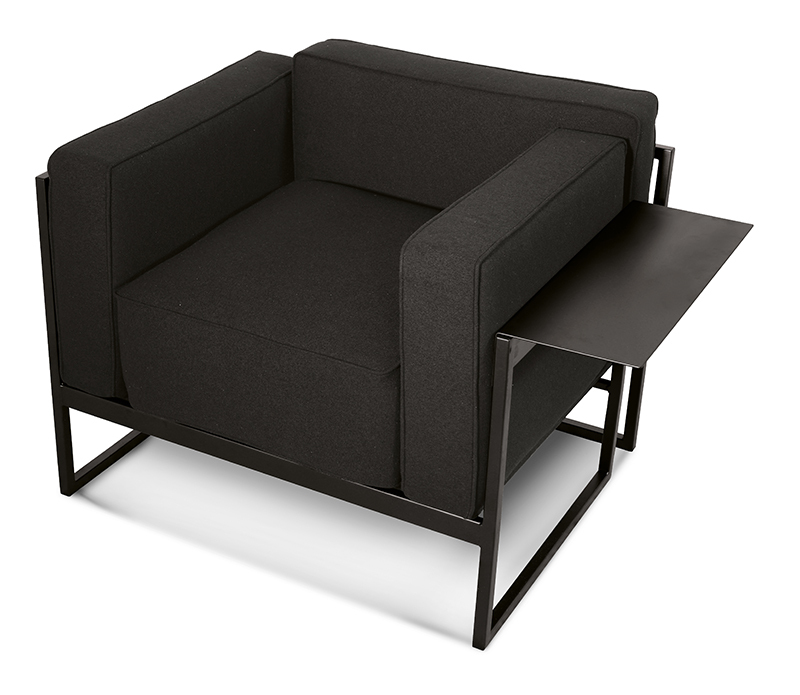 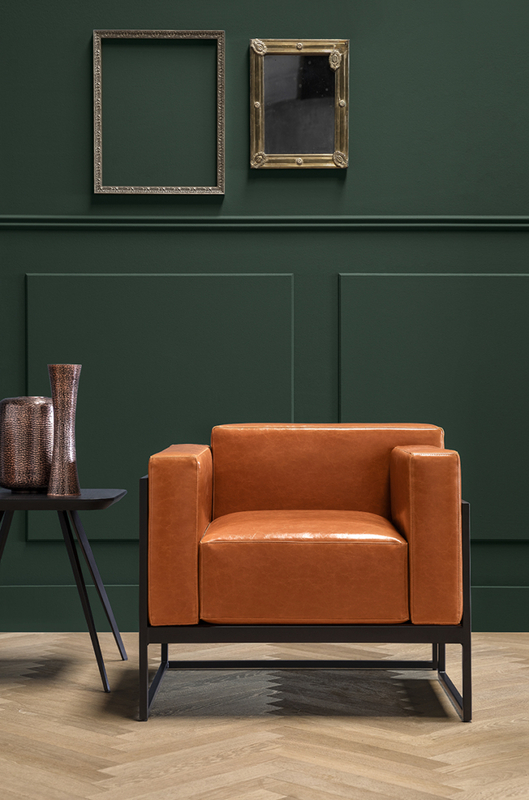 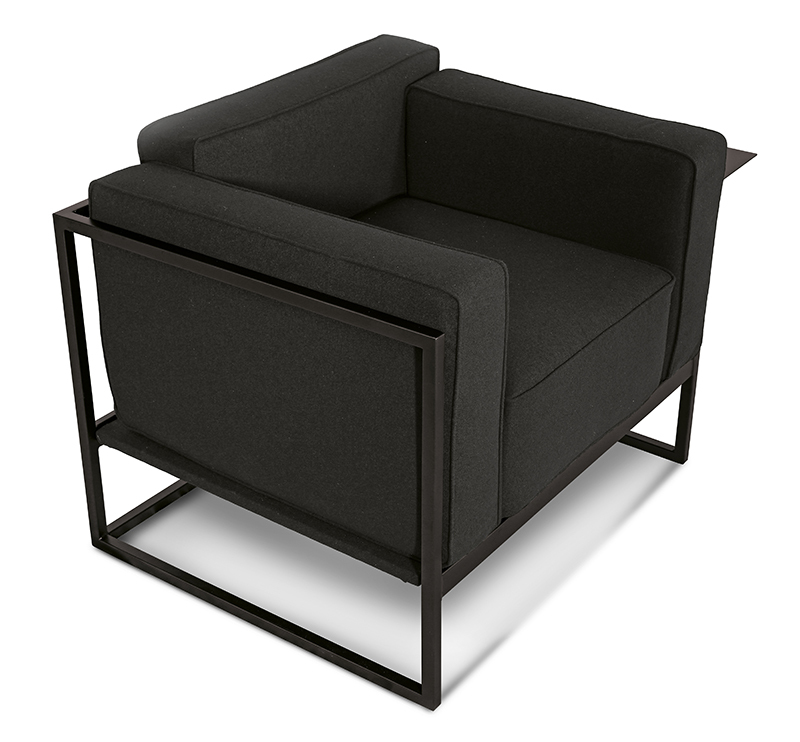 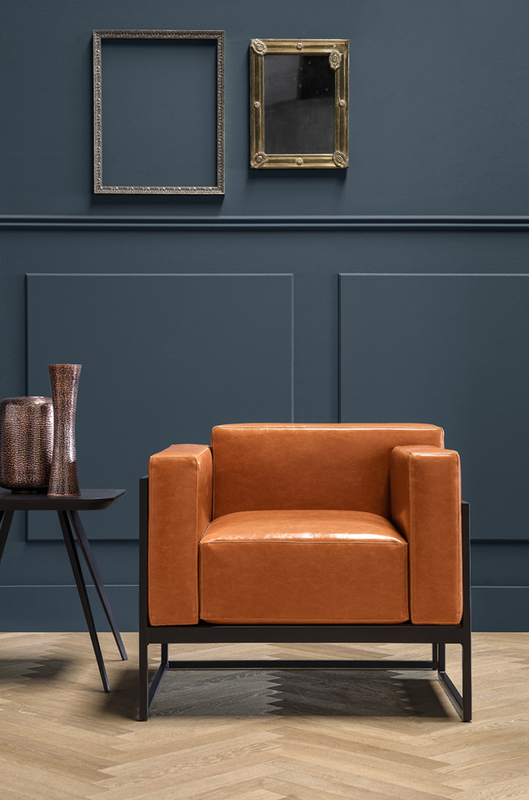 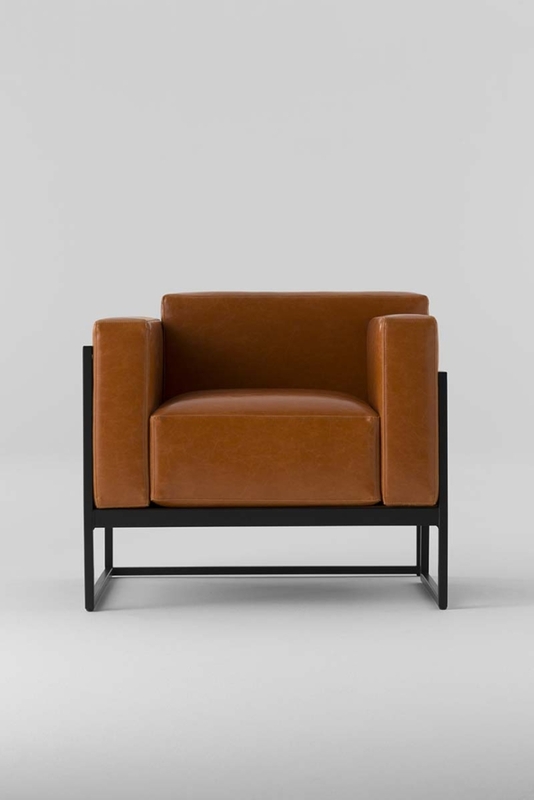 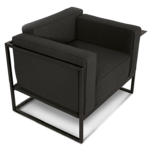 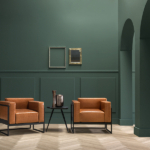 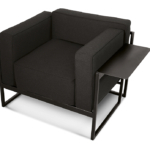 The Kirk collection includes an armchair,a two- and three-seater sofa, each with an optional side shelf.